Ÿ Experienced faculty of 25+ local language trainers. Ÿ Latest and EN certified training equipment. 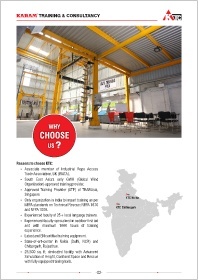 with fully equipped training halls.